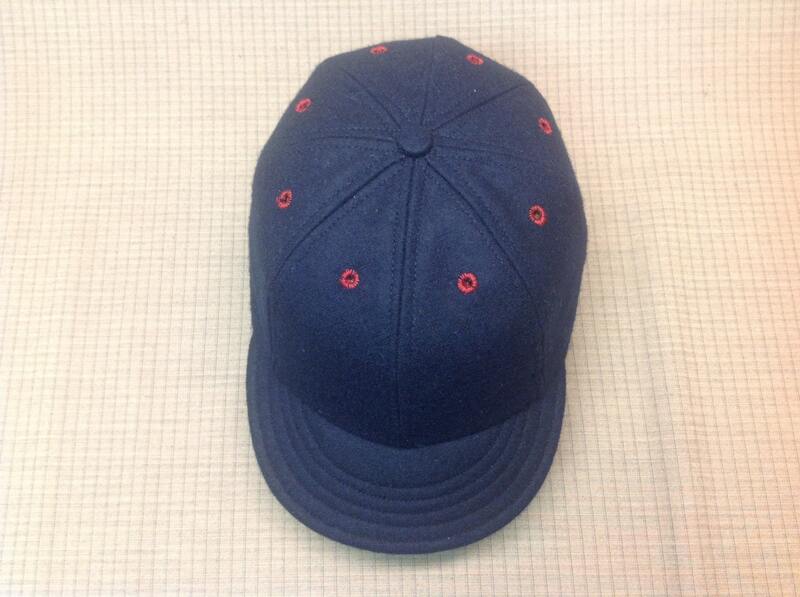 Custom made navy wool cap with burgundy eyelets and button. Any size available, fitted or adjustable. 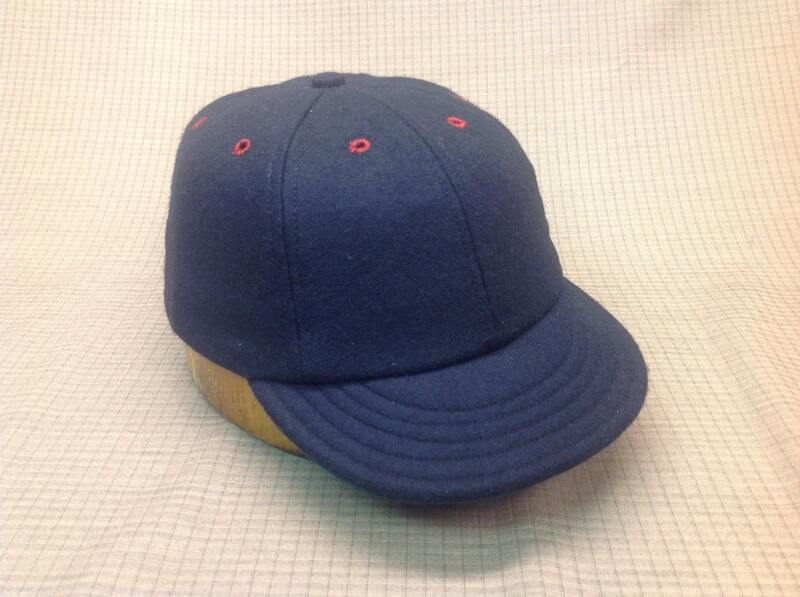 The 6 panel cap is the most commonly worn cap today. 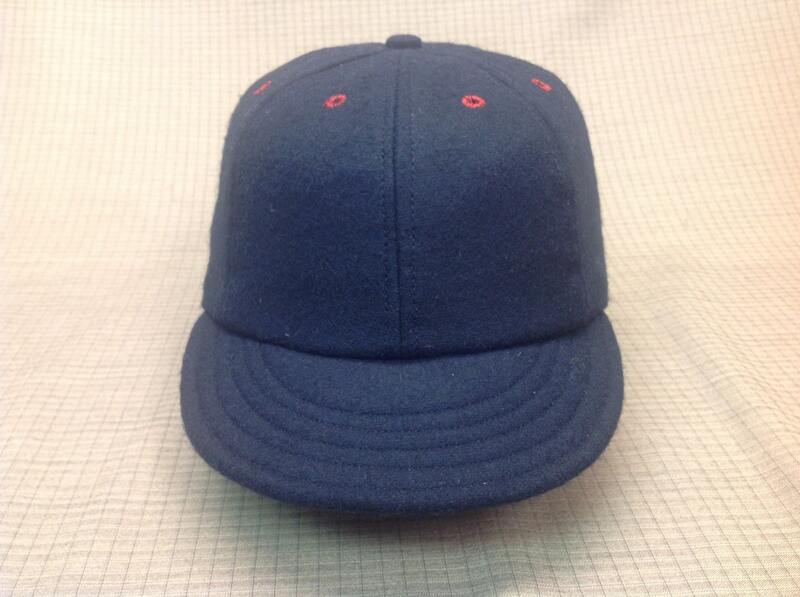 However, our 6 panel caps are tailored to represent the vintage look of the early 20th century. Keeping true to tradition, this cap is handcrafted using top-notch materials that would have been found on turn of the century headwear. The front has hair canvas stiffener and the cap is made with an flexible visor, and the hat itself is made with 100% wool flannel and is fitted with a cotton sweatband. Prefer another fabric or different type of sweatband? Just ask, we love custom orders.